Well my beautiful, sweet, clever and determined girl will be three this week! 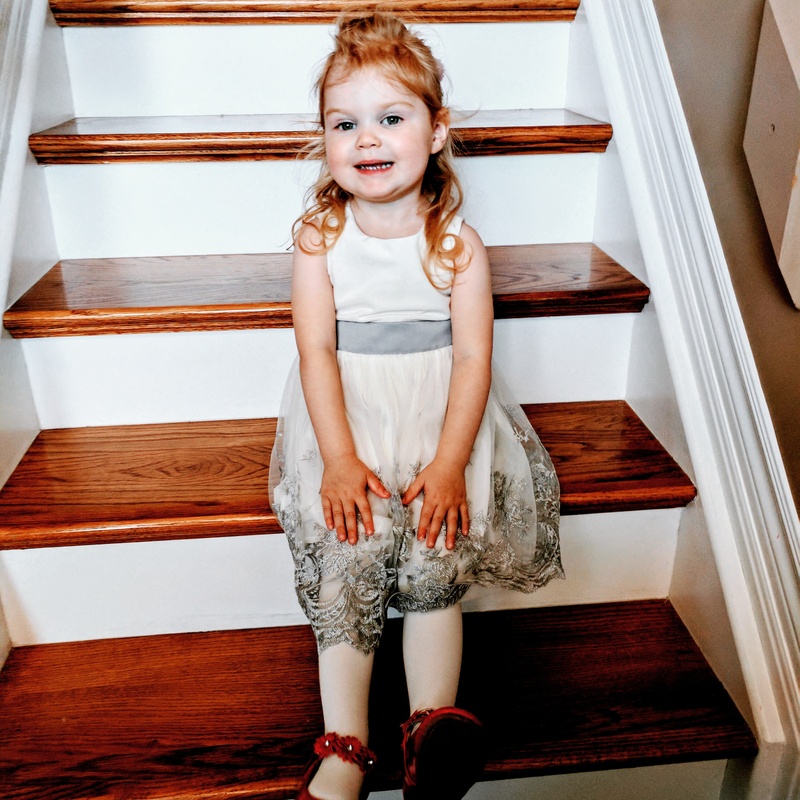 I can’t even believe how fast they grow. It’s exciting and sad all at the same time. 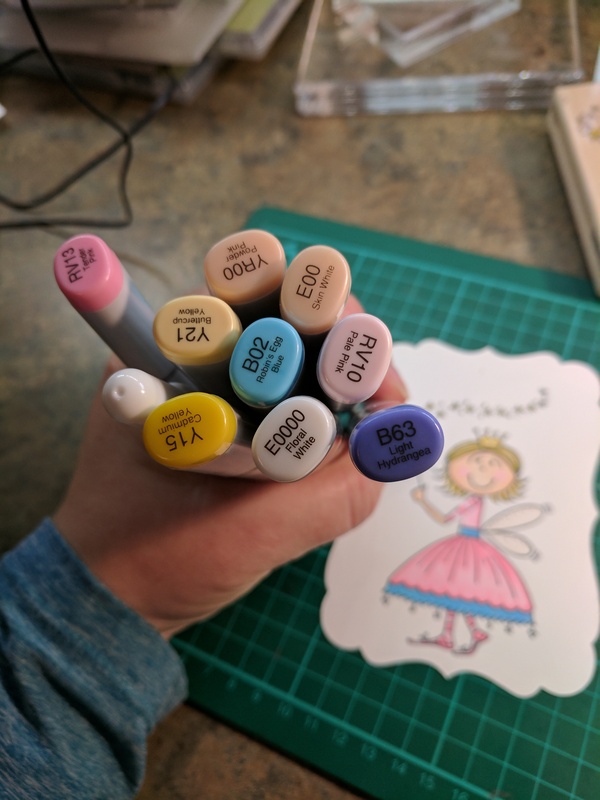 Time to make a card using her favorite colours; pink and purple. 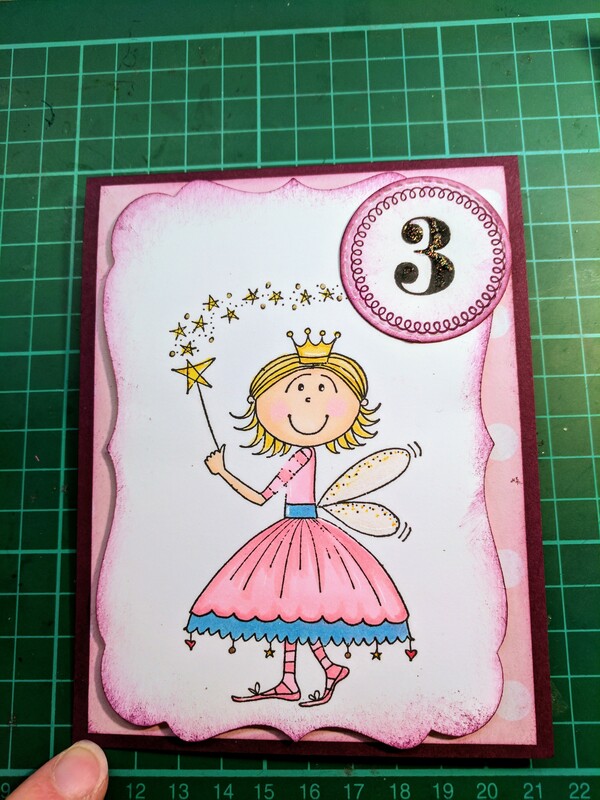 So for this card I began with Blackberry Bliss and Whisper White by stamping up. 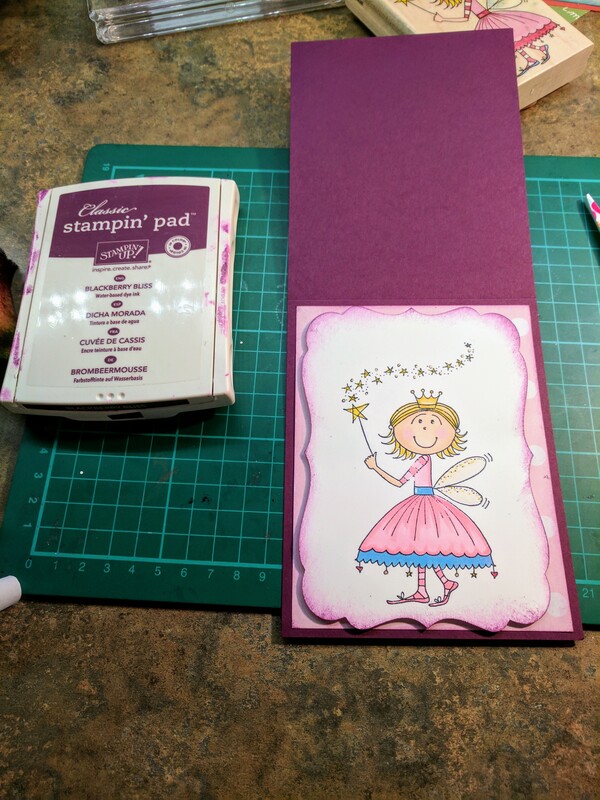 I found some pink polka dot paper in my stash and the cutest little fairy stamp I found at an amazing garage sale this weekend. 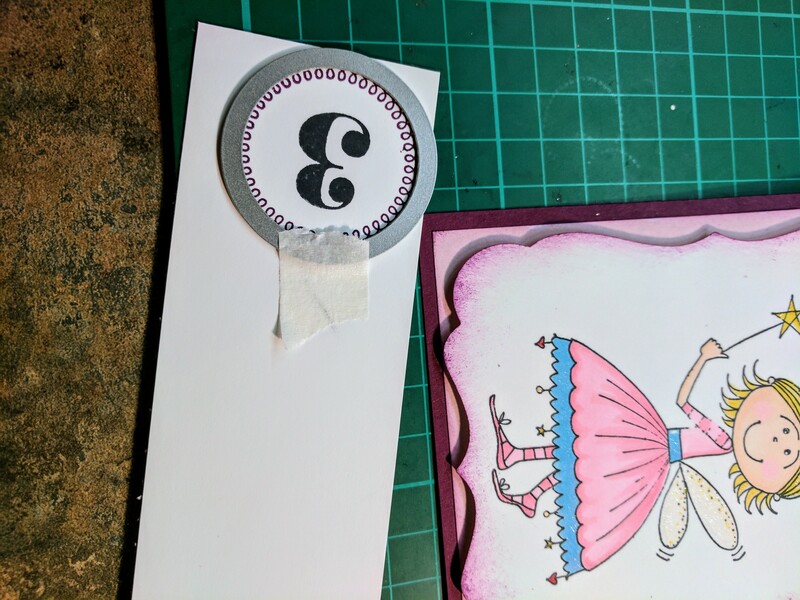 So I die cut the white paper and stamped the image with Memento tuxedo black. I proceeded to color the image with copic markers, white gel pen, gold gel pens and wink of Stella. I sponged the outside edges with Blackberry Bliss ink to tie it together. 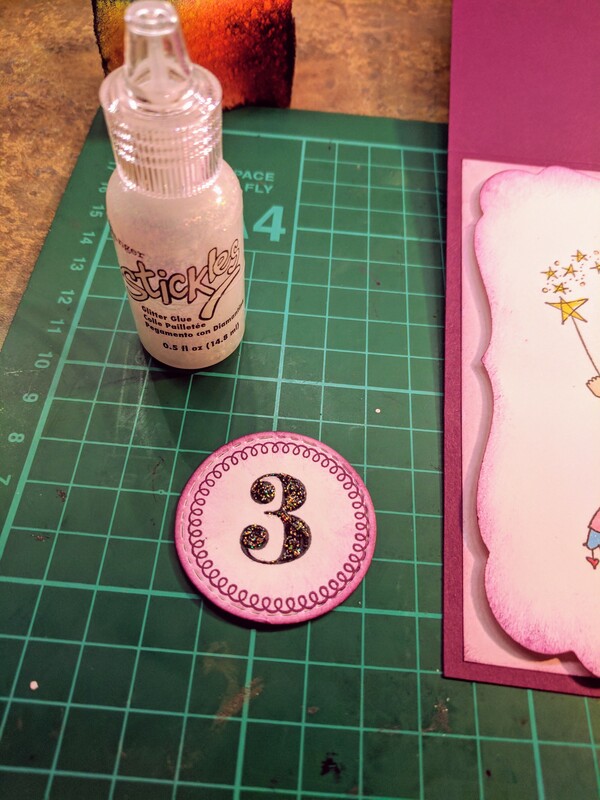 I stamped an image from a Close to my heart set with the number three and die cut it. I added some Dazzling dimonds and stuck it on the top. 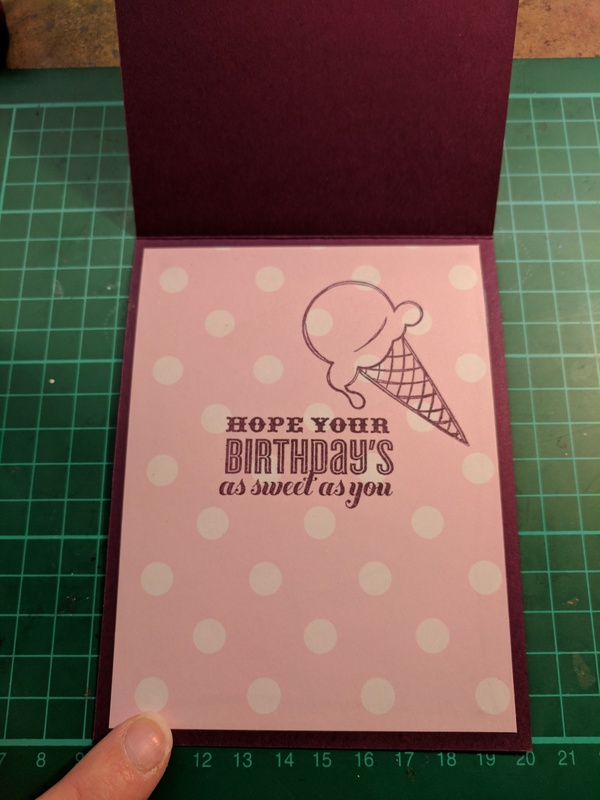 Then I went to work on the inside of the card. 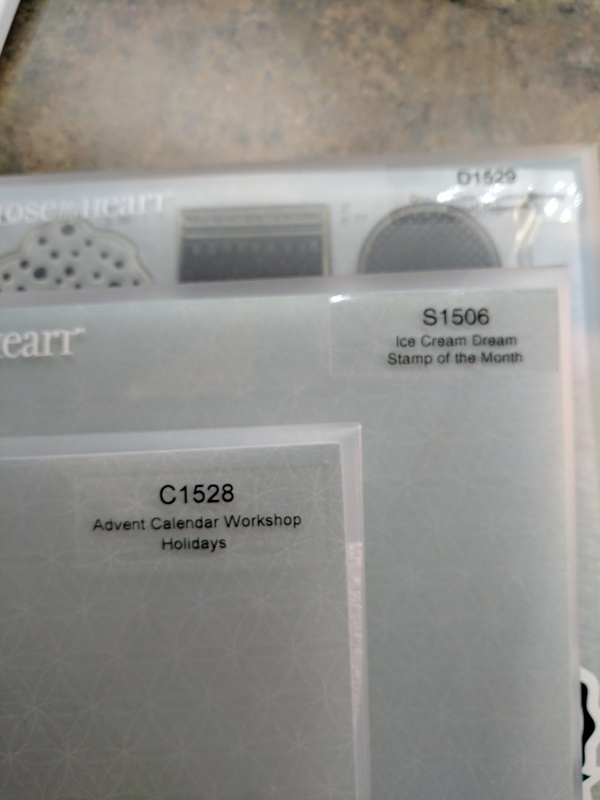 Using these sets I stamped a sentiment and an ice cream cone. Next > Our Nephew will be ten! So, so cute!!! 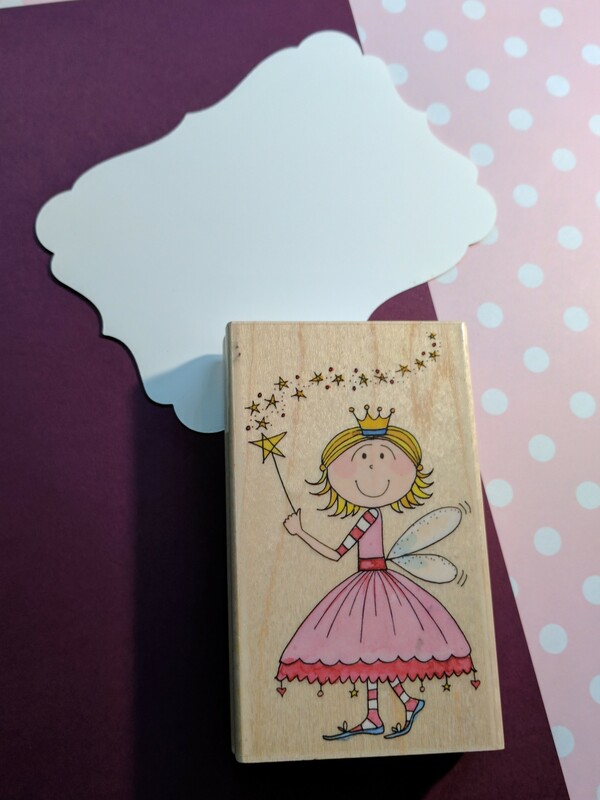 You made such an adorable card for your little one! Just adorable!